South Amherst (Mass.) 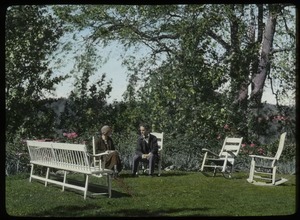 - Hand-colored image of young man and woman seated on wooden rocking chairs on lawn. 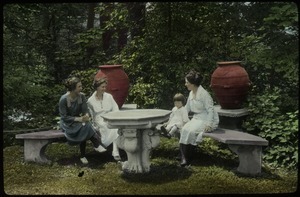 Hand-colored image of three women and child seated on garden benches by a what marble table, massive terra cotta urns behind. Amherst (Mass.) 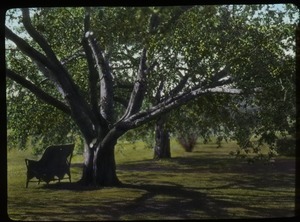 - Hand-colored image of large tree and lawn; see also image 970.